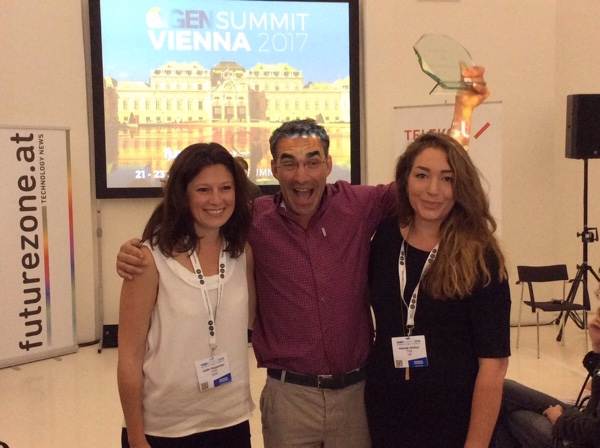 It’s hard to believe that it’s been a full year since we first attended the GEN Summit in Vienna and won the Startup for News Award. We’ve maintained a close relationship with GEN ever since, and we’ve been awed by the level of support and collaboration provided by their team. It’s fair to say that we are buzzing with excitement at the thought of being back in Vienna next week. We knew we couldn’t come back to the GEN Summit empty-handed. After months of hard work, we are delighted to be showcasing the Trint Player in Vienna. Trint uses A.I. to create affordable machine-generated transcripts of your audio/video in just minutes. 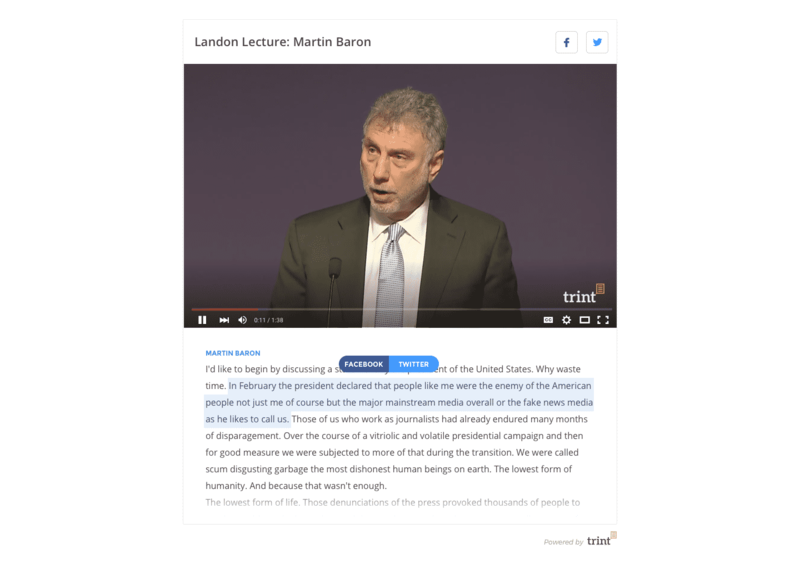 With the new Trint Player you can quickly publish those trinted interviews, speeches etc. on your website making them searchable, discoverable and shareable and accessible like never before. The Trint Player is a game-changer for videos posted on YouTube -- other platforms will come. Despite 80% of the content online being audio or video, much of it still remains hidden and undiscoverable. The Trint Player will revolutionize the way people publish, share and access recorded content online. We will put the Trint Player to good use at the summit by ‘trinting’ some of the key sessions at the and then publishing them to the GEN website. The best bits of the summit will be at your fingertips like never before. Stay up to date by following us on Twitter : @TrintHQ. To be among the first to get access to the Trint Player, click here.